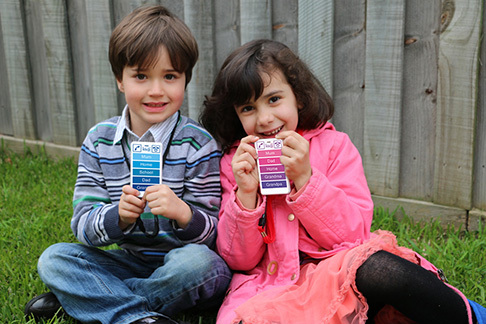 KISA phone is an ideal mobile phone for children who are too young to use smart phones. It is perfect for parents who wish to protect their kids from cyber-bullying. It has no Internet access, no SMS and no camera so it will not be considered a distraction at school or on the playground. Its sole purpose is to make sure that you can always stay in touch with your children. KISA phone is colourful, lightweight and fully customisable with pre-set contacts to control who your kids can and cannot call. Your child will always be able to reach you with a touch of a button, and you can customise the phone even further with relevant medical information such as allergies and blood type in large font on the back. As an additional safety feature, KISA phone has a dedicated SOS button that will dial Emergency Services. Our regular spend alerts will help you monitor your kid's monthly spend and avoid bill shock. KISA phone makes your children safer and gives you peace of mind because it is fully customised for your child which makes it pointless to steal. It also prevents your children from being exposed to cyber-bullying and trolling. 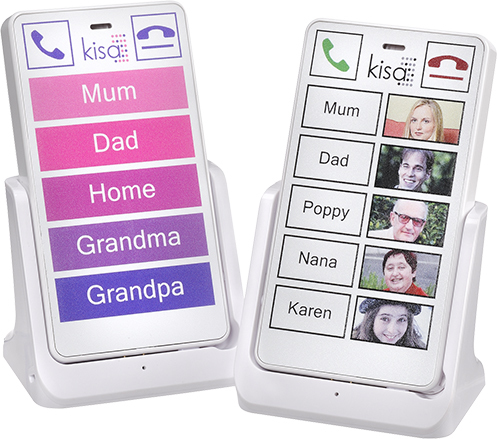 Your child will appreciate being able to reach you at any time and you will feel confident that you can stay in touch with your loved one using his or her own KISA phone!